Offer details: Up to $3,000 in savings or onboard credit per stateroom. 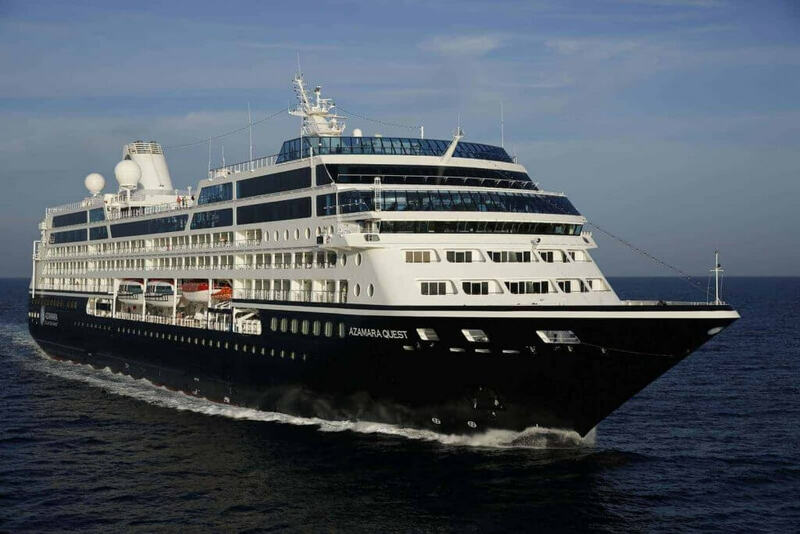 If you’re traveling solo or simply prefer to have your own stateroom when cruising with friends, Azamara offers fantastic singles rates on select voyages. Singles pay the double occupancy fare plus 25-50%, which includes gratuities for housekeeping, dining, and bar staff. Your private stateroom is the perfect place to relax and unwind during your Azamara cruise. TRAVEL DEEPER BEFORE OR AFTER YOUR VOYAGE WITH OUR CANADIAN LAND AND SEA PACKAGES. The majesty of the Rocky Mountains. The tranquility of unspoiled wilderness. The thrill of soaking in unforgettable scenery by rail. Carve through Canada’s interior and experience a world you can only see when you leave the road behind. Add to your already incredible Azamara Club Cruises® voyage with a rail journey aboard Rocky Mountaineer before or after your Alaskan cruise. The rugged beauty you’ll see from your sparkling glass-dome window is matched only by the elegant luxury afforded within—thanks to superb GoldLeaf Service. Savor locally sourced cuisine by Michelin-rated chefs. Toast to a trueService. Savor gourmet cuisine made with regional ingredients. Toast to true Destination Immersion® with complimentary beverages. Feel the rush of crisp mountain air from an exclusive outdoor viewing platform. With just one booking it can all be yours to explore. From stays in landmark hotels and resorts, to attentive baggage service, everything is taken care of so you can spend your time experiencing more. More historic sights. More wildlife encounters. More awe-inspiring moments.